A blend of adult alternative, rock, jazzy and acoustic songs with female vocals. Imagine a group of musicians that got together in the spring of 2008 to record and release music. Imagine also that the music is penned by Bill, Margie and Bill\'s brother Patrick. You should envision Margie singing vocals, Bill playing guitars&keyboards, Matt playing viola&keyboards, Joel playing the bass and Kevin playing drums and percussion. If you imagine the Rocky Mountains around the Denver, Colorado area, you\'re close by. Zoe\'s imaginary friend Gootz would tell you he thought the name up. Really enjoyed the alblum. Nice mix of work well presented and sung. “zOE’S iMAGINARY fRIEND\" is the impressive alternative rock/folk debut from Denver outfit zOE’S iMAGINARY fRIEND. Accompanied by a sensual and effortlessly talented female lead vocal, ZIF’s arrangements are diverse and thorough. The songs range from slower acoustic alt-folk tracks to heavy alternative rock, and incorporate, a plethora of instruments, including fuzzy wailing guitars, muted trumpet, poppy piano, and viola. The lyrics also cover a wide range of subjects, from driving trucks to snapping photos, but they all have a great storytelling quality to them that keeps the listener hanging onto every word. “zOE’S iMAGINARY fRIEND\" has a raw quality great for the group’s sound. “Sweetness” is an energetic, fast-paced rock song with great riffs, rocking beats, catchy lyrics, and an outstanding vocal performance. “Fisheye” aptly begins with the sound of snapping photographs then moves into a mellow drum, bass, and guitar arrangement with more great lyrics and vocals, and some excellent male backing vocals. “zOE’S iMAGINARY fRIEND\" is a fantastic debut from a talented set of musicians with an admirable do-it-yourself mentality. Fans of alternative rock, alt-folk, and great female lead vocals should definitely check out this CD. “zOE’S iMAGINARY fRIEND" is the impressive alternative rock/folk debut from Denver outfit zOE’S iMAGINARY fRIEND. Accompanied by a sensual and effortlessly talented female lead vocal, ZIF’s arrangements are diverse and thorough. The songs range from slower acoustic alt-folk tracks to heavy alternative rock, and incorporate, a plethora of instruments, including fuzzy wailing guitars, muted trumpet, poppy piano, and viola. The lyrics also cover a wide range of subjects, from driving trucks to snapping photos, but they all have a great storytelling quality to them that keeps the listener hanging onto every word. 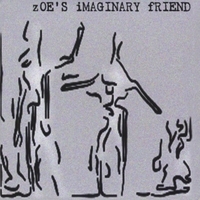 “zOE’S iMAGINARY fRIEND" has a raw quality great for the group’s sound. “Sweetness” is an energetic, fast-paced rock song with great riffs, rocking beats, catchy lyrics, and an outstanding vocal performance. “Fisheye” aptly begins with the sound of snapping photographs then moves into a mellow drum, bass, and guitar arrangement with more great lyrics and vocals, and some excellent male backing vocals. “zOE’S iMAGINARY fRIEND" is a fantastic debut from a talented set of musicians with an admirable do-it-yourself mentality. Fans of alternative rock, alt-folk, and great female lead vocals should definitely check out this CD.